Horse Rugs & Clothing There are 15 products. 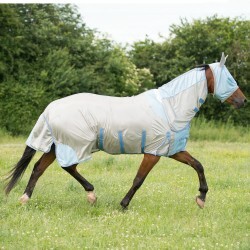 The perfect Horse Rug to keep your horse dry without making them too hot. A new, improved and exceptionally good value combo fly rug from Gallop. 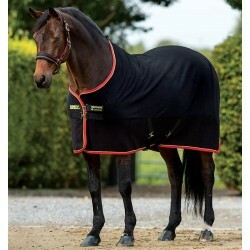 The perfect turnout rug for the cooler Spring/Autumn weather, packed with features, it is outstanding value for money. The perfect dual purpose quilted rug, it can be used as both a stable rug and an under rug. This Amigo Hero ACY Plus rug, by Horseware, is amazing quality at an outstanding price, it is packed full of features and made with the newest technology. The Horseware Rambo Softie Fleece is the ultimate fleece to keep your horse cosy on those chilly days. Shires Tempest Original rugs offer exceptional value for those wanting a good, dependable turnout rug. The Highlander Rug is perfect for the cooler but not cold nights or for those hardy horses who need a bit of extra protection when its really cold! Keep your turned out horses exceptionally cosy, dry and with all the freedom of movement to keep them happy with this fantastic Highlander Original 200 rug.